"Carbon steel coated with non-stick coating on the inside. 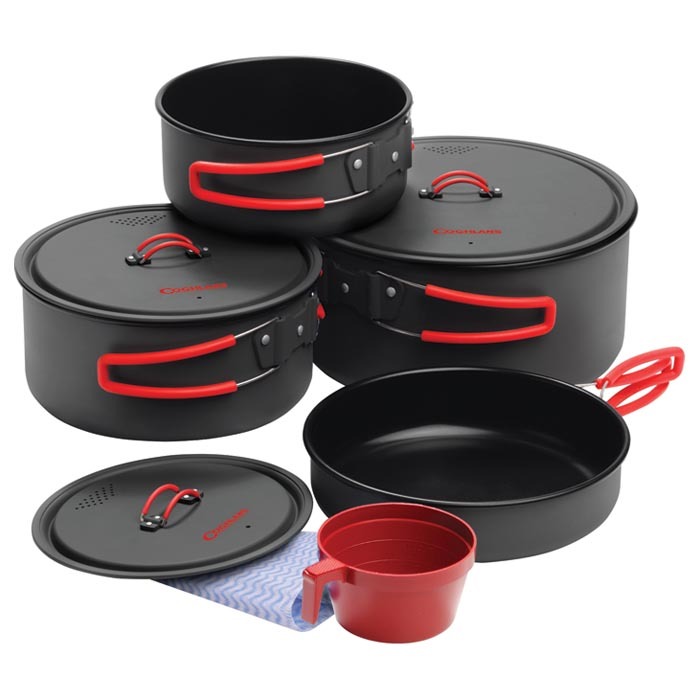 Heavy duty steel construction with swing-out handles on each pot and pan. Easily nests together for compact storage. Includes: 7.5"" fry pan, 4 L pot with lid, 2.3 L pot with lid, .3 L pot with lid, bamboo fiber pot scrubber, measuring cup and nylon carrying bag."